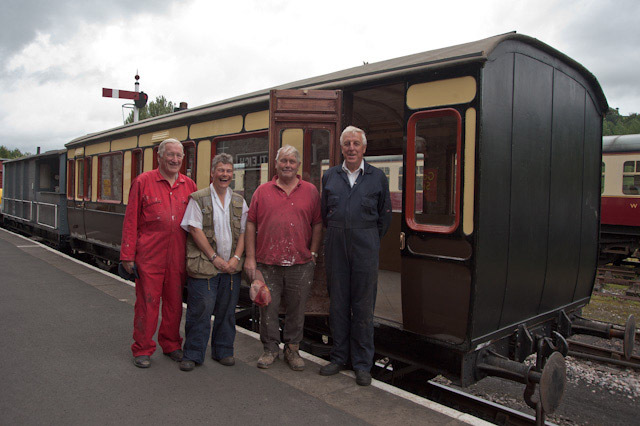 A Great Western Railway Picnic Saloon, No.9346, completed at Swindon on December 12th 1896 is to be given a new lease of life on the South Devon Railway. 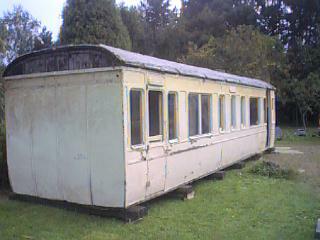 The carriage was inhabited until very recently and had been built in to a small bungalow in the tiny village of Cove, near Tiverton. 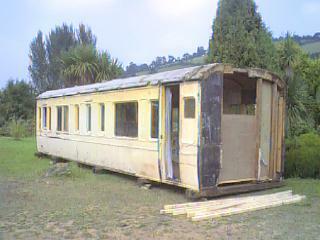 The bungalow was constructed in 1939 using the carriage as the living accommodation with a kitchen, bathroom and larder built on the outside at one end of the coach. Initially, it had a pitched roof with a verandah around it but this was then altered to become entirely enclosed. As a result the vehicle has remained in an incredibly good state of preservation. Interestingly, at one point some steel panelling had been put over part of the exterior and beneath the original GWR livery, including some lining and the number 9346 had survived (see photo). 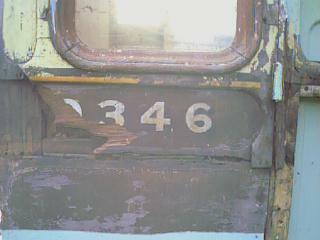 Up until this discovery identification marks had made it appear that the coach was No 2541 - the number is stamped on an internal door, which is another similar carriage from another batch. Coaches such as these were hired by families or groups and added to trains, quite often more than one coach at a time, to go to the chosen location for a day trip. The recovery was led by member Patrick Barter who had become aware of the vehicles existence a couple of years ago. After a few days of preparation a team of SDRA members were able to remove the pitched roof and chimney on Sunday 10th August and then the body was lifted by crane onto a lorry and moved to Buckfastleigh on 11th August. A suitable chassis has already been located, although this will mean the coach running as a four wheeler instead of as built as a six wheeler. Ashburton Junction Box construction update. 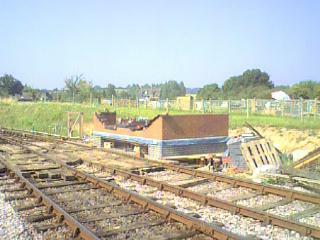 The brick base for the new Ashburton Junction Signal Box is now well under way. At August 11th only a few course of bricks were needed to complete the lower part of the building. The only other brick construction then needed will be the chimney. Meanwhile a team of members have been to Tyseley to prepare the wooden superstructure of the box for removal. This work is now largely complete. The gang that attended over the weekend of 10th/11th August also dismantled the signal frame. Picnic Saloon to return to service as just that! 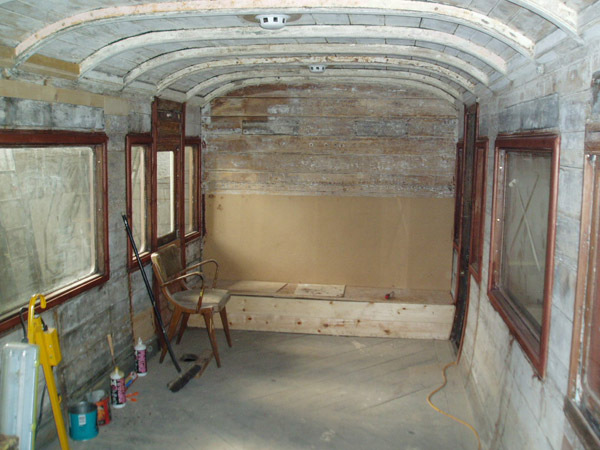 The SDR Carriage & Wagon workshop is busy on a project to bring the former Great Western picnic saloon No.9346, of 1897, back into use. The plan will see it restored externally and the interior provided with tables and seating to enable it to be used as the overflow for the cafe at Buckfastleigh parked alongside the cafe building in the former loading dock. It will replace the Mark 1 second open that is at present in use for that function and which can be far better utilised for passenger carrying service on train services. 9346 was purchased a few years ago from 'chalet' service at Cove near Tiverton where it had been incorporated into a small home, thus preserving it in near perfect condition. One end and a door on one side had been removed but the carpentry team have rebuilt these missing elements. 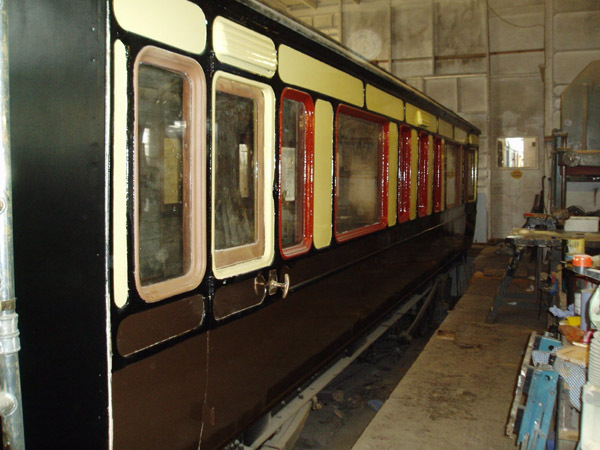 It is starting to look like a smart coach once again and whilst the interior will not be quite true to the original it will reflect as far as possible the original design and paint scheme. There will be end bench seats but the central partition with galley and toilet will not be replaced as it needs to have as much open space as possible to fit it for its new role. It will likely see more picnics in its new role than it ever saw before! But it won't be going back into mobile use at this stage. The tables and chairs will be moveable which will also enable it to be used as a small committee room and for other small functions. It was originally a six wheeler but now rests on a long wheelbase four wheel wagon chassis which was tracked down as it was just the right length.